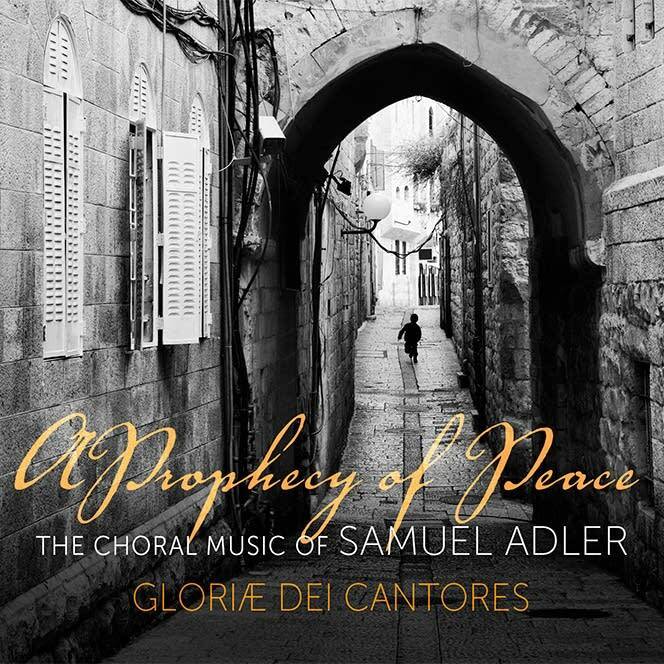 A Prophecy of Peace: The Choral Music of Samuel Adler celebrates the rich common heritage of Christianity and Judaism. This recording spans more than thirty-five years of works by award-winning American composer Samuel Adler. Adler's fresh and imaginative harmonic and melodic language brings a heightened awareness of the texts of these works as well as gives the listener a personal expression that is unique to each work. Highlights include the first recording of Adler's Transfiguration Mass for choir, organ, and brass as well as his Verses from Isaiah for choir, organ, brass, and handbells. Also of note is a piece for women's choir and handbells, Let Us Rejoice, as well as the moving a cappella anthem I Think Continually of Those. Two works from the Jewish liturgy are also included: L'chah Dodi and Mah Tovu.